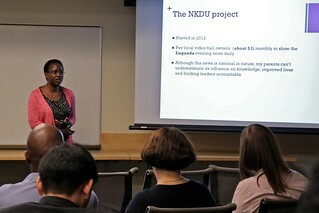 Since completing the six-week summer institute at Ohio University and the United States on August 14, the 2015 Study of the U.S. Institute (SUSI) scholars have been hard at work in their home countries engaging in a wide range of tasks including research projects, writing and editing books and lecturing at their home institutions. This year’s SUSI participants consisted of intellectuals from around the world, with 17 scholars from 16 different countries including India, Botswana, Chile and Greece. 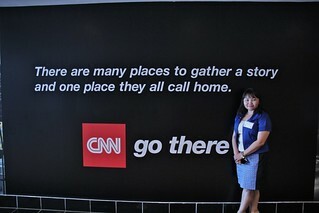 The program incorporated tours of media outlets, like CNN Domestic and International Newsrooms, with academic sessions, lectures and visits to U.S. hotspots like Amish Country, San Francisco, Washington D.C., Atlanta and more. "SUSI 2015 hosted at Ohio University impressed me by providing me a real life observation of what it means to be a transformative and participatory educational/ academic leading institution," said Betty Tsakarestou, a 2015 SUSI scholar from Greece and an assistant professor and the head of advertising and public relations lab at Pateion University of Social and Political Sciences. Tsakarestou said that some of the core elements she recognized from the program consisted of "a pool of talented minds, a collaborative growth mindset offering growth potential for all, a caring and empathetic approach, search for excellence" and more. 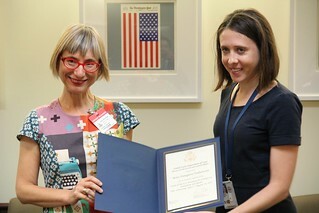 After SUSI, Tsakarestou took part in a SUSI 2015 debriefing with the U.S. Embassy officials in Athens, Greece, presented the SUSI program and outcomes to her home university, Pateion University, and will soon be presenting the program to her students. Tsakarestou is also keeping busy with the formulation of a SUSI 2015 book chapter, several conference talks, and the editing of two upcoming books translated in Greek. Unurjargal Lkhanaa, SUSI 2015 scholar and lecturer at the School of Journalism under the Press Institute of Mongolia, noted the large growth of her professional network due to her participation in the SUSI program. "We contact each other always and share the news and other info. For instance, I am planning a small program that will be implemented soon in my organization," Lkhanaa said. "I am going to invite my peer scholars to give lectures via Skype to undergraduate journalism students in the international journalism class." Since returning to Mongolia, Lkhanaa has been able to work on the SUSI 2015 book project with professors from Ohio University, while also finishing up her research project centered on strategic social media for female politicians in Mongolia. Lkhanaa will also be conducting two workshops that will allow her to share her SUSI experience with university colleagues, alumni and current students. "Mongolian academics and professionals in journalism should not lose this opportunity to participate each year in SUSIs media and journalism program," she said. Sara Namusoga, SUSI 2015 scholar and faculty member at Uganda Christian University, agrees that the possibilities created from the institutes large focus on networking cannot be replaced, or duplicated. Namusoga is using these connections through her recent undertaking of a collaborative project that will involve four of her SUSI colleagues. "The five of us hope to become a global team and a point of reference when it comes to using collaborative and multi-platform storytelling tools to teach," Namusoga said. Since leaving the United States, Namusoga has been working on this collaborative project in addition to writing her thesis to complete her PhD, an academic paper that she hopes will soon be published, and a chapter for the SUSI 2015 book. "SUSI is one of those rare opportunities that come your way and change your life in a definitive manner," Namusoga said. "Being part of a group of accomplished scholars and journalists - and the very experienced professors who run the program - reignited my desire to excel at my academics and as a professor in the very near future." After his proposed research on journalism learning outcomes during the SUSI 2015 summer institute, George Kalimbwe, a faculty member of Evelyn Hone College of Zambia, returned to Zambia and immediately began sharing this newly learned information and insight with colleagues. Kalimbwe studied ways to implement technological advancements into his colleges learning setting, the changes that would need to be made in order to make this happen, and the variations in information needs of the Zambian media audience. Kalimbwe has revised his syllabus, adopting some of the pedagogy tools from U.S. courses taught at Ohio University and has delivered presentations to his colleagues in hopes of making positive changes and improving the curriculum in Evelyn Hone Colleges current use of technology. "I am already sharing with my students and colleagues in my department the use of IT presentation techniques as a teaching aid. This is one of the things we never did in the past. We only used the whiteboard," Kalimbwe said. "Some of them have started using PowerPoint for their lessons. With time I have a feeling colleagues will be able to adapt." Bui Chi Trung, 2015 SUSI scholar and journalism and communications lecturer at Vietnam National University, Hanoi, attributes the SUSI summer program to his newly improved skills with both lecturing and researching. "I have learned so many things, gained priceless experiences and had lots of fun. SUSI 2015 helped me become more aware of my weaknesses and also gave me tools to strengthen them," said Trung. "I found the professional communication principles inspiring." Since returning to Vietnam, Trung has also contributed to the making of the SUSI 2015 book project, which will examine the many challenges journalists from around the world experience while trying to maintain their core principle of independence. In addition to the SUSI 2015 book project, Trung has been working on a research paper panel proposal in hopes of attending the Association for Education in Journalism and Mass Communication (AEJMC) in Minneapolis during the summer of 2016. "In this moment I feel I am a better researcher, lecturer than I was 15 weeks ago. 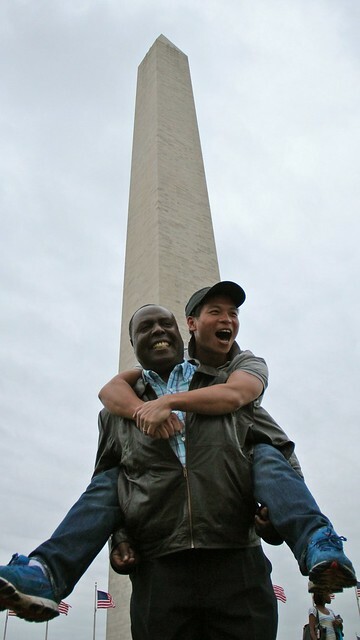 I dream to come back soon to Ohio University, U.S.," Trung said. The SUSI summer institute for journalism and media scholars allows top accomplished scholars from around the world to learn and share their work at the E.W. Scripps School of Journalism at Ohio University for six weeks, to conduct research, and to compare global journalism and media systems. The institute is funded by an annual renewable grant from the U.S. Department of States Study of the U.S. Branch in the Office of Academic Exchange Programs. To read more about the 2015 SUSI scholars and their time spent actively engaging and learning about international media at Ohio University, click here.